They are described as a goddess glow in a bottle, they have been so popular that they have been flying off the shelves. At one point there was even a waiting list to get your hands on one of them. Iconic London have recently launched 3 new shades to join the original one. Each one is beautiful beyond words and will give you perfectly glowing cheekbones. A product so popular is worth getting to know, so here is my Iconic London Illuminator Drops Review. Let’s find out if this bestseller is worth all the hype and attention its received. The highlighter comes in 4 different beautiful colours- Shine, Blush, Original and Glow. Shine is a pale pink shimmery colour which adds a pearly glow. 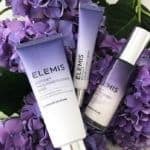 This is ideal for fair skin. Blush is a warm peachy, rose colour which adds a rosy glow. Original is a gorgeous champagne colour which adds a golden shine. 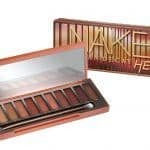 It is ideal for medium skin tones. Glow is a terracotta toned shimmer which adds a deep golden shine. Glow is perfect for darker skin colours. The packaging is really classy and pretty. They each feel and look like pots of gold, once you use it, you’ll see its not so far off! 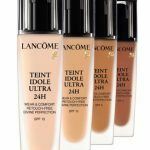 These 4 Illuminating Drops are the most pigmented highlighters around. They give you the most amazing shine, one that you could have only dreamt about before. The highlighter gives your face a beautiful, dewy finish. What I love is that you can add it to your favourite primer, foundation or moisturiser or it can be worn alone. 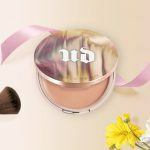 You can apply it either before your makeup to create a dewy base, or you can apply it as a regular highlighter. Basically the options are endless and you can adapt the drops to however you like! Since the Illuminator Drops come in a liquid form it can be a bit tricky to apply. If you apply it directly to the face you risk putting too much on or ruining your makeup (if you’ve already applied makeup). I recommend applying a drop to the back of your hand and then with your fingers dab on to the desired areas. You can then blend it out with a beauty blender or a brush. One drop goes a really long way, personally I wouldn’t use more than a quarter of a drop for each cheekbone. Yup, the highlight is that strong and pigmented. One tip I have for when applying is to blend it out straight away as the highlight dries really quickly. It looks truly glowing on. You can blend it for 10 minutes straight and it still won’t look sheer like most highlighters do after a while. It looks beautiful and dewy. However, even though it looks dewy it feels dry and matte, almost as if you’re not wearing anything. What really stuck out to me is that when you apply it, it doesn’t remove or interfere with your blush or any other products that you have already applied. It’s really annoying when products don’t work together. However, no need to worry because this highlighter works really well with the rest of your makeup. I think the Iconic London Illuminator Drops are the ultimate highlighters around. They are literally pots of gold. Each drop is so highly pigmented that you only need a very little amount per use. The bottle will last for a really, really long time. Some people have compared these highlighters to the Cover FX highlighters. However, I find these to be much more pigmented, making them levels above the Cover FX ones. If you love a strong highlight then this is made for you, you get all the shimmer and bling with it. The glow is really out there and its beautiful. Personally, I prefer for myself a more subtle highlight, one that’s not glaring at you in the face, but at the same time adds a pretty glow to the skin. However, I still love this product because when its used in small amounts it can still achieve a look that I love. The highlighter is not for an everyday work look, or Mom look, in my case. I would save this for occasions like when I need to dress up and look all glam! It is truly dazzling! Any foundation would work. I always recommend sticking to a foundation that works best with your skin and that you are the most comfortable wearing. I was actually looking for some recommendation on highlighter the other day and I am so happy I read this post. It looks like a really very great product and the price is very affordable. Plus as it is so much pigmented, it will last me forever! I loved the pink shade it looks so glowing and romantic! Do you know if I can find it in US or it is only available in the UK? I can’t find them anywhere in the US but cultbeauty.co.uk ship worldwide, often for free. 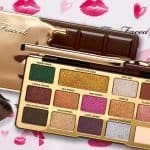 I love a bit of shimmer in my makeup, and this looks really great!! Being a woman of colour, I’ve been looking for something like this for a long time. 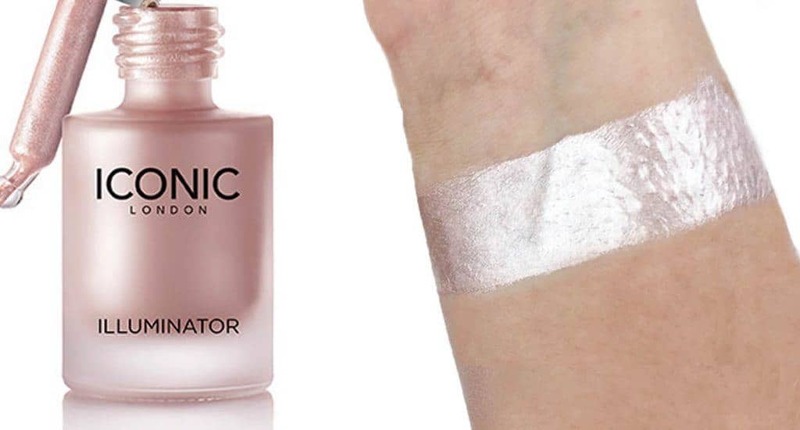 I’ve never heard of Iconic London Illuminator before so I’m definitely going to try this out. If it works for me, I’m going to have to stock up on it as I find it very difficult to get anything that complements my colour. From my experience they work on all skin colours so you shouldn’t have any problem with it! How beautiful is the glow. I have 2 daughters and both of them are make-up crazy. This is a perfect early Christmas present for them. As they have quite a few Christmas parties coming up. Is there a certain tone of color one should get going the color of their skin? Do you know how long delivery times takes to get these? Your daughters will love it! The different colours are for different skin tones, as I have written on the post. When you check out they will give you options for delivery. I’m sure there’s still plenty of time for delivery for Christmas. I’m completely out of my depth when it comes to make-up, but I’d love to understand it better so I can buy better gifts for people. This seems like a great place to figure out the essentials. This product you discuss here; is it an essential piece of kit or is it more of an add on? Thanks for enlightening me to these Iconic London Illuminators. 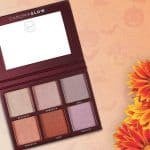 The glow, blush, shine and Original are all stunning colours i want to try them all because how you choose between these! I wonder if these stay on nicely, usually any highlighter i have used just disappear after a hour or two? what are your thoughts on this? Yes, they are stunning! These aren’t regular highlighters, you can mix them into your foundation, moisturiser and whatever else you use and it becomes part of your makeup. When you do this the chances of it disappearing are much less! I’ve always been fascinated with the “glow” look we see worn by models and celebs on the red carpet. When I go makeup shopping I stare longingly at all the shiny, dewy items on the shelves but I’m too terrified of creating an “oily” look instead of the much coveted “glow” look. My skin type tends to be on the combination/oily side which is why I think I’ve always gone for mattifying products instead. I wonder if this would work for me or magnify the problem areas – do you have any experience/tips for me? I would really like to pull off this look without it turning into a disaster lol. The Iconic London Illuminator truly looks stunning! Anyone can pull of the red carpet glow including you! What you can do to reduce the chance of it looking oily is to only use a small amount and always use a setting powder on top. My personal tip- when I am worried my skin will go oily and I’m out for a whole evening I take a setting powder in a clutch bag, it has never let me down!